Starting in Bristol, we’ll cruise under the Clifton Suspension Bridge as the tide takes us down the River Avon, to the Severn Estuary and the marina at Portishead. 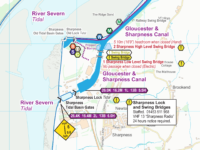 With our pilot, we’ll cruise up the River Severn from Portishead, passing under the two road suspension bridges, to reach Sharpness. 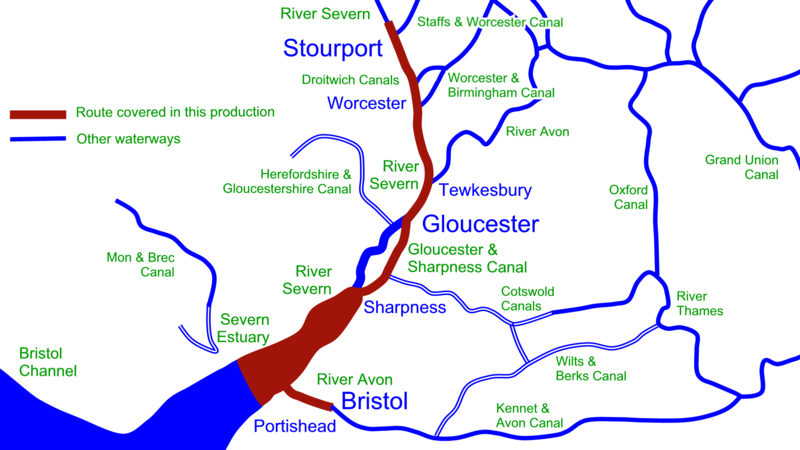 The Gloucester & Sharpness Canal will lead us past Saul Junction to Gloucester. Re-joining the River Severn, we’ll continue upstream, passing Tewkesbury and Worcester to reach Stourport. 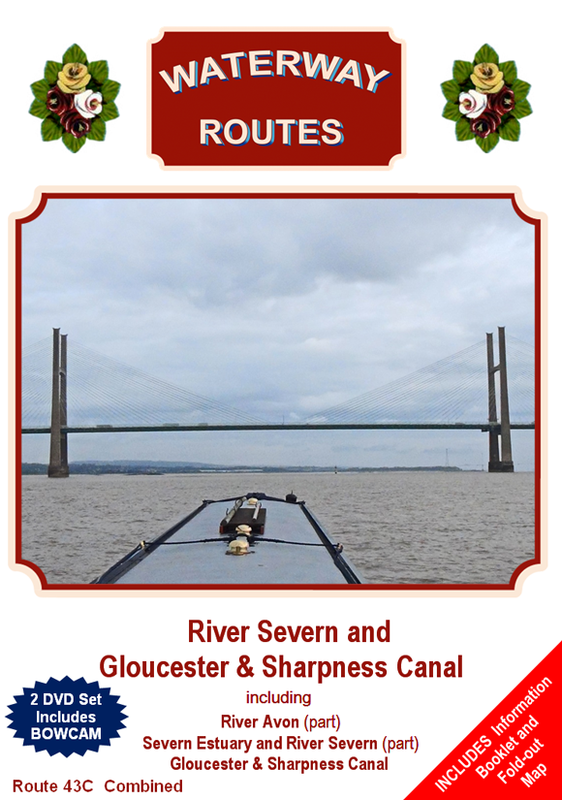 Route Covered by the River Severn and Gloucester & Sharpness Canal DVDs. River Severn and Gloucester & Sharpness Canal DVDs in a choice of formats. Contents of River Severn and Gloucester & Sharpness Canal Combined DVD. 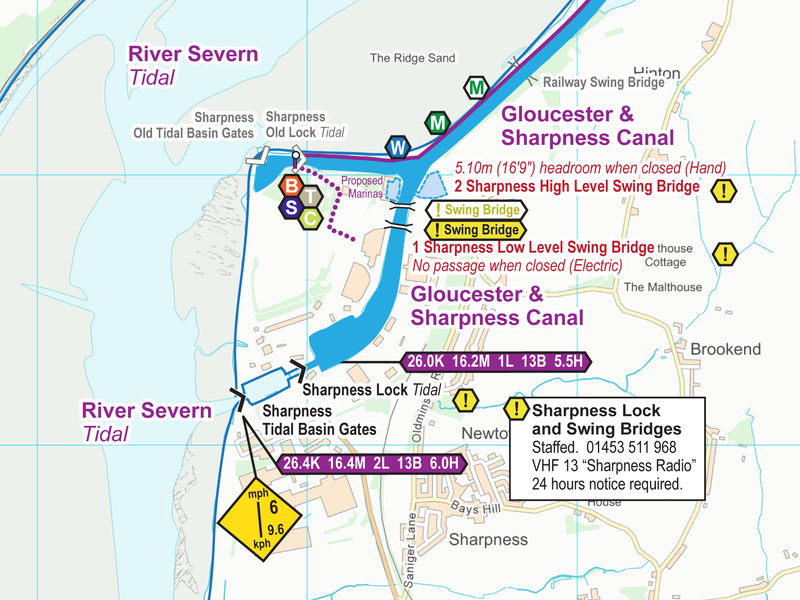 Extract from my River Severn and Gloucester & Sharpness Canal Maps. Memory-Map (qct) Format with all the pages joined into one scrollable and zoomable map with GPS tracking too. Read more about my River Severn and Gloucester & Sharpness Canal Maps. 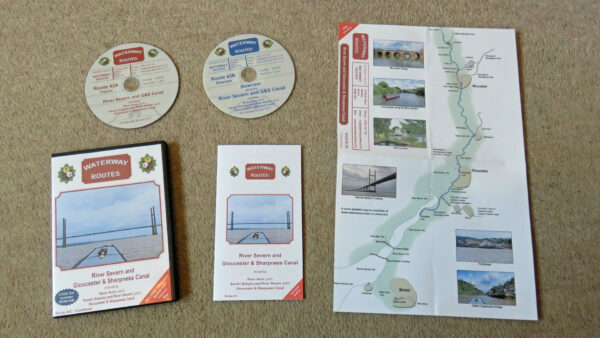 Save 10% on both when you buy a Lancaster Canal Map and DVD together. Automatically deducted at checkout. 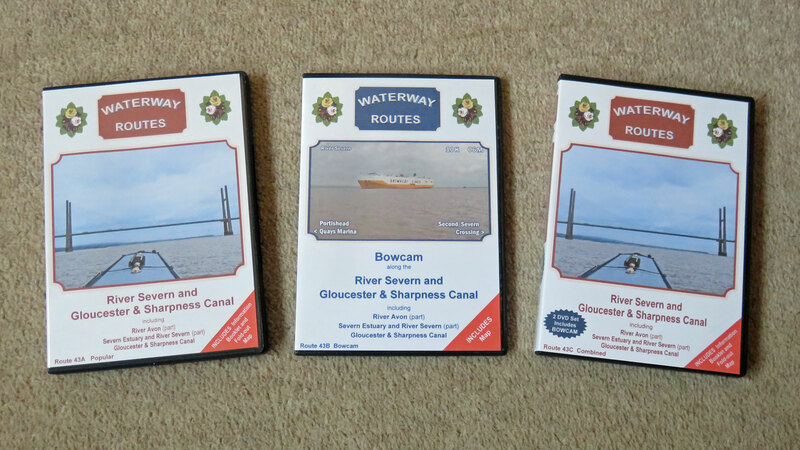 Popular DVD (1 hour) £12.95 – Like a television programme showing the highlights of the canal. Bowcam DVD (1 hour) £7.95 – A forward facing camera, speeded up for a little fun, showing the whole cruise. With more than 50 DVDs in my full range there’s likely to be something to interest you. They make great gifts too.